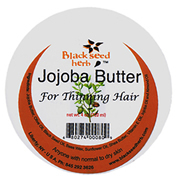 Ginkgo Jojoba Hair Butter For Thinning Hair, 4 oz. This butter is therapy for thinning and breaking hair. Harness the benefits of ginkgo and jojoba. 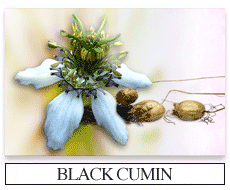 Ginko biloba is used to increase circulation, stimulate and revitalize hair follicles. Jojoba is an excellent moisturizer and scalp treatment and is very close to the very oil our own body produces. Nettle and rosemary extract are used to increase growth. Contains: Jojoba butter, ginkgo biloba extract, black seed oil, shea butter, sunflower oil, nettle extract, rosemary extract, vitamin E.